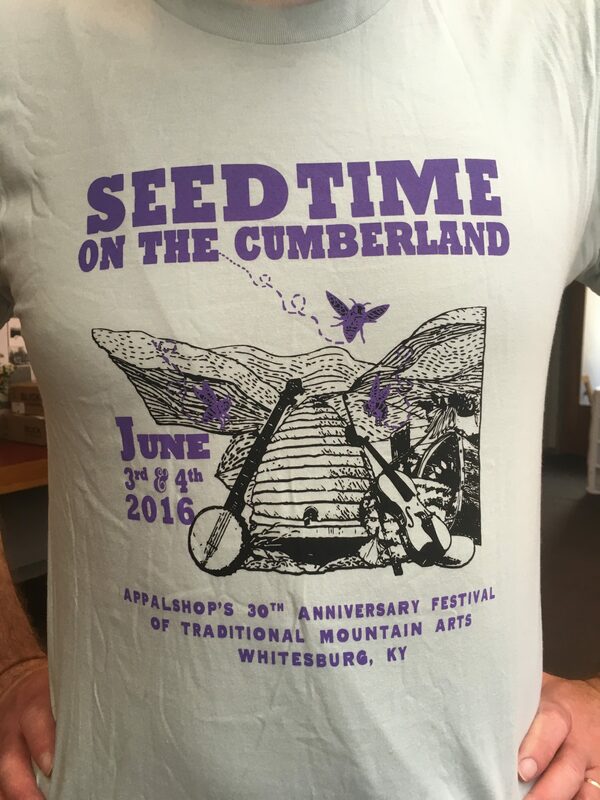 This 2016 t-shirt celebrating our 30th Anniversary Seedtime on the Cumberland Festival is now just $5! Available in both Seafoam and Silver (an American Apparel color now discontinued!). Indicate your color preference in notes or get a surprise! 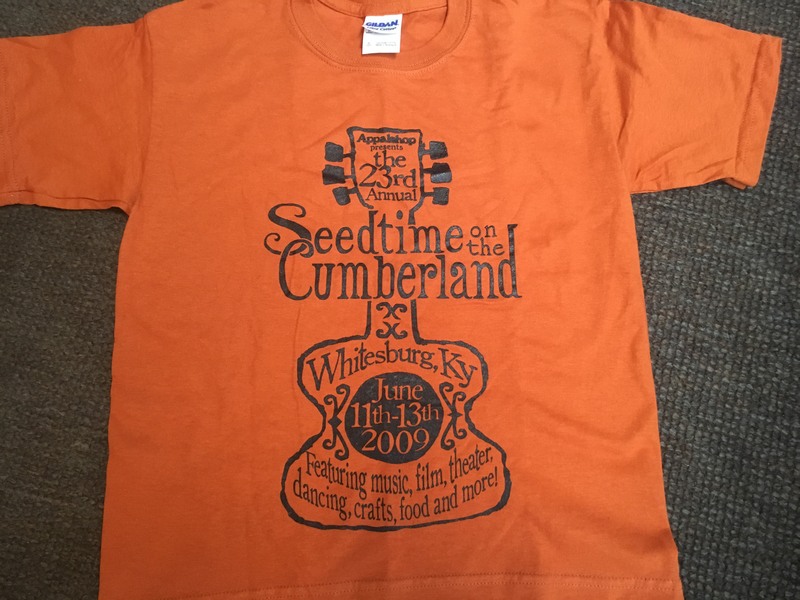 Get this 2016 t-shirt from our 30th Anniversary Seedtime on the Cumberland Festival celebration for just $5, plus shipping. Available in both Seafoam and Silver (an American Apparel color now discontinued!). Indicate your color preference in notes or get a surprise! We have XS, Medium, and Large left in stock. Please indicate size preference. Be the first to know about new content, big announcements, and programming near you. Explore content related to the page you're viewing.